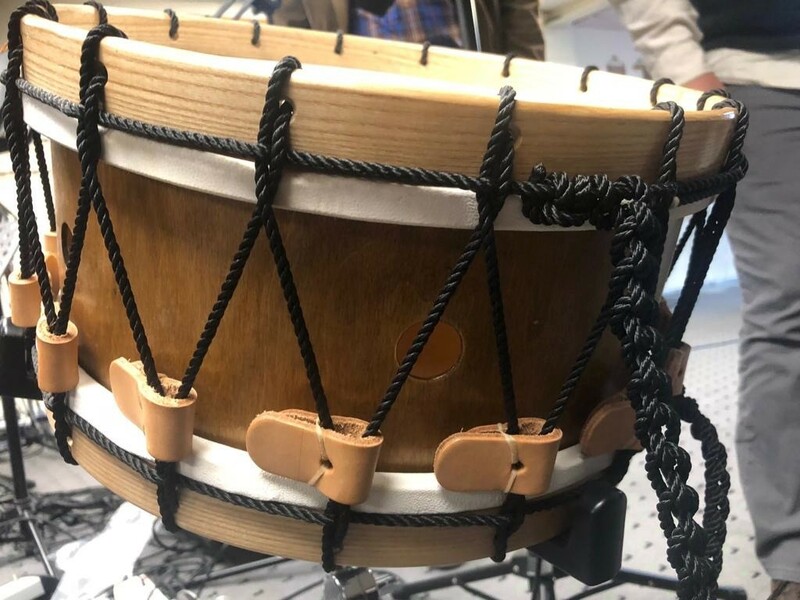 After an evening of listening to storytelling and songs from Ray Hughes in a church in Milford Haven I got to play a tabwrrd, a traditional Welsh drum. 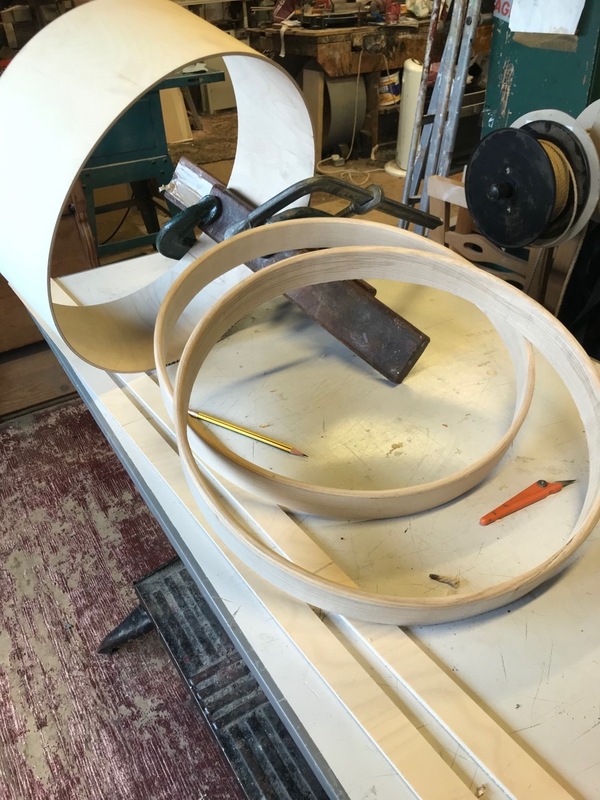 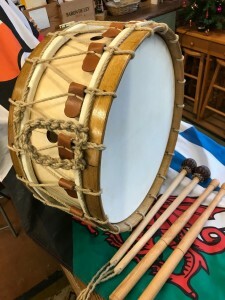 That day I had been doing some research about this instrument and found out that there was only one drum maker in the whole of Wales who still made this traditional drum. So you can imagine my joy in turning up to a church who had a drum made by this same company. 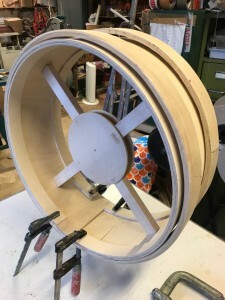 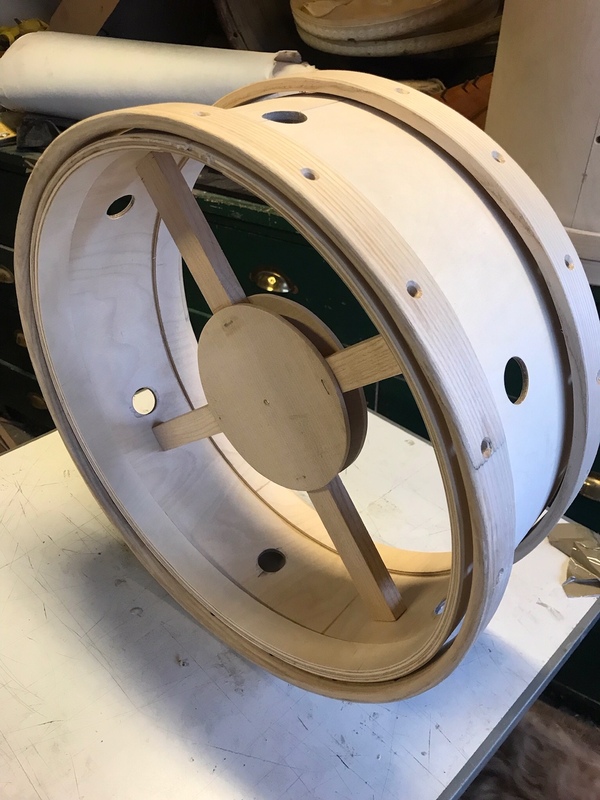 Two days later I met the makers and I am now excited to tell you that they are now in the process of making me a drum.